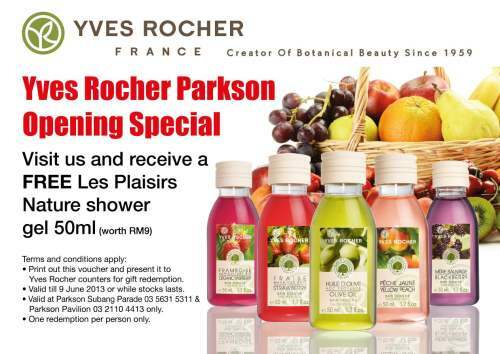 Redemption location: Yves Rocher counters at Parkson Pavilion (03-2110 4413) & Subang Parade (03-5631 5311) only. Present the voucher for redemption! Click & print out the voucher above. Present it to Yves Rocher counters for gift (show gel) redemption. One redemption per person only.